Valid for CASRO Board Members only. You can rent a table that will be visible throughout the conference. (We ask that no weapons be publicly displayed due to hotel restrictions). You will need a code in order to use this. If you'd like to make a monetary sponsorship not listed, you can use the url below or you can mail a check. Thank you! 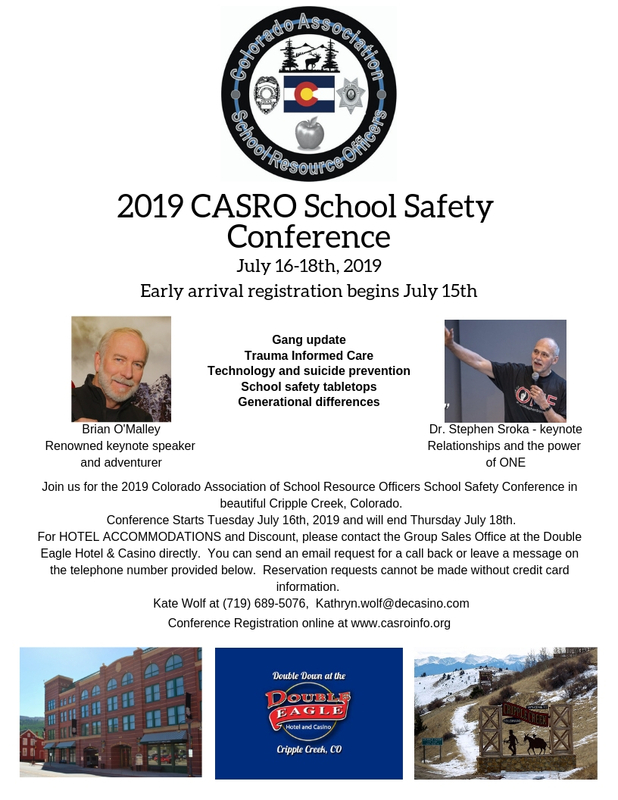 Join us for the 2019 Colorado Association of School Resource Officers School Safety Conference in beautiful Cripple Creek, Colorado. Conference Starts Tuesday, July 16th, 2019, and will end Thursday July 18th, 2019. 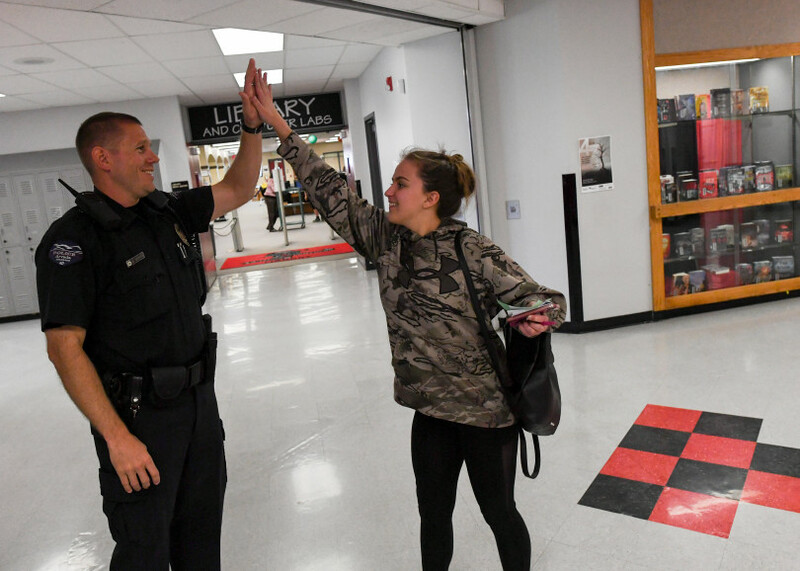 July 1, 2019 - Registration closes and it's the last day to receive a full refund for cancellations. Please register your attendee and the money will be refunded. If you register for the conference, it also includes a 1-year CASRO membership. For HOTEL ACCOMMODATIONS, please contact the Group Sales Office at the Double Eagle Hotel & Casino directly. You can send an email request for a call back or leave a message on the telephone number provided below. Reservation requests cannot be made without credit card information. The room rate is $99.95/night plus tax (includes breakfast). Jenny Young (719) 689-5177, Jenny.young@decasino. If you'd like to make a monetary sponsorship not listed, click here. Thank you! If you’re registering more than one person, add their name as the first attendee and then click add a guest to add additional attendees. If there are more than 5 attendees, please submit it and request an invoice so a discount can be applied. Please send Treasurer, Jennifer Kunugi an email that you’re requesting this. If you have any questions, she can be reached by email or at (720) 355-0962.